Slidre Church, or “Slidredomen” (the Slidre Cathedral), ca. 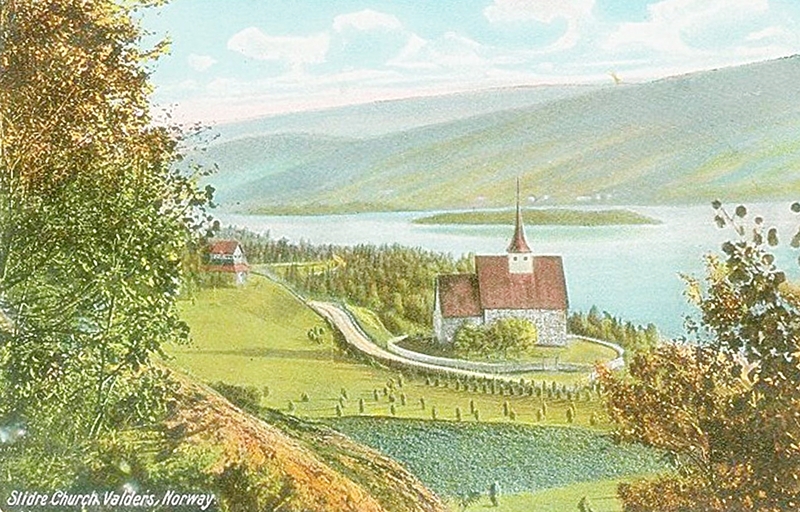 1910, where our Hande ancestors were baptized, married and buried for generations . The stately stone and brick building dates back to the 12th Century. After reviewing the table of contents and index below, you wish to view the full book of 1,200+ pages, contact D’Arcy Hande to request permission. The Hande farms and Norwegian naming traditions.